A dedicated husband and a father of three, A.K. Kuykendall was born in Albany, Georgia and grew up as a military brat on the Kaneohe Bay Marine Corps Base Hawaii (MCBH) located in Kailua-Kona, Hawaii and later at the Camp Lejeune Marine Corps Base located in Jacksonville, North Carolina. The day was routine for Captain Kalista Flaker, but the order passed down to her the morning of October 3, 1998, was far from routine. This order created of her an assassin charged with performing an unthinkable act: killing her very own. The mission was simple and in the same, difficult. She was to lead a team in a covert operation to South Vietnam. Their mission: Eliminate American POWs still being held captive since the Vietnam conflict. Yet the reasons behind this inhumane mission will prove to be literally out of this world as the nefarious meaning behind former President Dwight David Eisenhower’s bold statement “Beware of the military’s industrial complex” will be boldly revealed. Captain Flaker, this hard-nose Army Ranger of the 4th Battalion, 76th Ranger Regiment, could have never imagined what was possible within the boundaries of the nation she took an oath to defend. Gregory Stillingsworth, a world-renowned horror writer, an author who has already surpassed the great ones like Koontz and King, was destined to reach the top. Or was he? Was he destined, instead, to live the life carved for him by his cursed forebears? Instinctively, it has always been Gregory’s custom to write his books one after another. His wife, Jamie, who serves as his lawyer, critic, and business partner, gave up convincing him to slow down so as to focus on starting a family. Gregory is relentless in nourishing his career; that is, until for the first time, he runs out of words, sending him into an uncontrollable rage that even his wife cannot comprehend. Is this unexpected rage an extreme reaction to the stresses of writer’s block? Or is it the unveiling of his true role among us, a scribe born into this world only to write of the coming Armageddon? Writer’s Block: The Possession is a dark, horror story, a psychological thriller, and a labyrinthine cryptogram that the reader must unravel one scene at a time. With no way to tell what is truth and what is fiction from Gregory’s perspective, the reader is led to wonder how much of this novel is autobiographical information from the real author’s perspective, taking the horror factor from the realm of fiction into the realm of possibility. 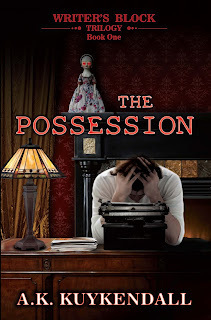 As part one of the Writer’s Block Trilogy, The Possession leaves the reader on the edge of his seat, chewing his nails, anxiously waiting for a resolution.IN THE WRITER’S BLOCK TRILOGY . . .
What inspired you to write these particular stories ? 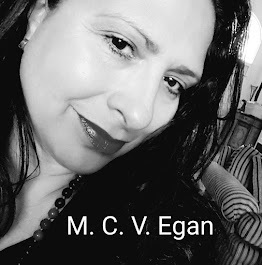 Many have inquired what motivated the Writer’s Block trilogy and about the historical content throughout book #1—The Possession. They have asked what Gregory Stillingsworth’s connection to the underworld is and what's in store for his wife, Jamie Stillingsworth. The twists and turns riddled throughout The Possession is but a mere prelude to the abundance of true-to-life connections in human history as it relates to the Divine Drama and the, actual, war of the angels. Within this popular book, I painstakingly merged history and intricately tied it firmly to the prose. Though entertaining, the book is but scattered pieces of a grand story that no writer has ever attempted to tell—the orthodox meaning and purpose behind the infamous Codex Gigas—the Devils Bible. What motivated The Evolution of the Patron Saint, book #1 in the Conspirator’s Odyssey series is our nation’s redundant reliance on the overwhelming amount of selective Intel that has been spoon fed to we the people for over 50 years concerning the assassination of President John F. Kennedy. There has been a lot of speculation that Kennedy had all the cards stacked against him, which was absolutely true. The Cubans wanted him killed for the failed Bay of Pigs invasion. The U.S. Mafia wanted him killed because Kennedy’s brother was on the warpath for them. The F.B.I. boss Hoover wanted him dead as he supported the black minority in the United States. The C.I.A. did not like him after Kennedy sacked their boss. And on the U.F.O. situation—Kennedy was about to blow the whistle—they had to stop this disclosure. Then there was the Chinese/Russian connection. At the end of the day there were so many powerful forces working against him that it was [looking back on it now] almost impossible to stop what happened. And with so many people out to “get him” it was again impossible to pin the killing on any one group or person thus adding to the redundant byzantine reverie by us all as it relates to President Kennedy’s demise. President’s Truman, Eisenhower, and Kennedy will forever be tied together in history for which the masses will never fully comprehend as Truman gave iron-clad rise to the military industrial complex following the infamous Roswell UFO incident—the strategic trajectory of which eventually led to the murder of President John F. Kennedy. President Eisenhower covertly warned “we the people” on January 17, 1961 in his farewell address to the nation—we just didn’t listen. The only technique I use is to treat my fact-based fiction stories like a journalist would a story they aim to write. My research is thorough and heavy, my sources real and protected, and I follow the evidence I gather like a timeline toward plot development and execution. 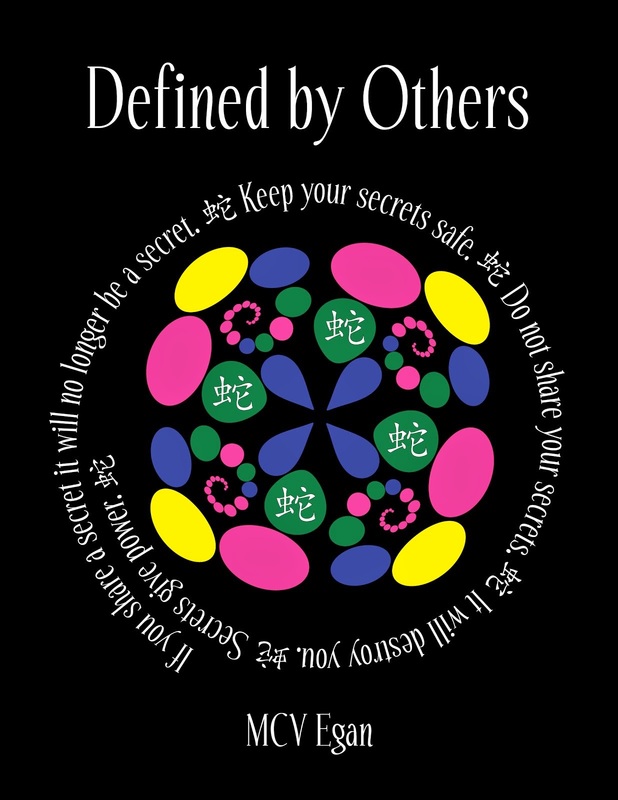 Are your characters in the book based on anyone you know? I plead the 5th ! Was there any research involved in your work? What inspires me is lengthy and convoluted as I’ve been inspired by many factions throughout my life. The world is beautiful; lending so much to the cause of many artists from all walks of life and artistic shticks. My life has been one marred with complexities I’m literally writing my way through. Though I haven’t perfected this chosen path, I will continue to follow this invisible muse through to the end.....Inspirations are abundant! Some of my favorites are Rod Serling’s 1959—1964 series the Twilight Zone to The Mercury Theatre’s October 30, 1938 broadcast of The War of the Worlds over the Columbia Broadcasting System radio; where actor Orson Welles continues to frighten the hell out of me. What H.G. Wells created has been a huge inspiration for me. I’ve long been particularly fond the poetry of Emily Dickinson, John Keats, Robert Browning, John Ruskin, Sir Thomas Brown, and the novels of George Elliot, Charlette and Emily Bronte, Stephen King, Rick Hautala, Michael Marshall, Bram Stoker, Mary Shelly, Robert Louis Stevenson, James Patterson, Jack Higgins, S.E. Chase, and Nicholas Sparks to name a few. I don’t necessarily need visual media, but when marketing, I find that it surely makes an impact. I love Valentine’s Day! It’s sort of a delightful added measure in an extremely difficult trifecta I’ve place myself in. You see, Valentine’s Day is on February 14th—the very day I proposed, my wife's birthday is on February 18th, and we were married on March 20th. Being the typical male, I struggle with making sure I never fail in genuinely acknowledging these pivotal dates. Trifecta indeed, yeah? I pulled out all the stops for the love of my life purely to see her smile that lovely smile she smiles. It is no doubt that my wife, Magdiel Kuykendall, is my muse. Once a character is fully developed do you set them free or do they still dance around your mind? They continue to dance their asses off! Is the Thesaurus one of your best writing friends? Not yes, but hell yes! Who gets to read your drafts before they're published? Share with us your biggest hurdles in the writing process? My biggest hurdle is having patience! I can see the end, but I know that the process is more involved. Share the biggest hurdles in the marketing process. Though, for me, the marketing hurdles are minuscule due to I being traditionally published and a marketing campaign is a contracted staple, but I like to be hands on in a way. My hurdle is piggybacking the marketing efforts of my publishers, but they don’t give details pertaining to their efforts, which limits me to putting money into an official author’s website with strong hosting widgets, creating book specific social networking pages, etc. and marketing sporadically throughout. Currently, I’m working on book #2 in the Writer’s Block trilogy entitled Purgatory. 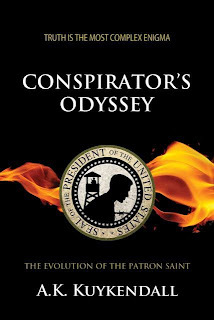 And I’m gathering pertinent US classified Intel as a stepping stone for the next book in the Conspirator’s Odyssey series entitled Origin. To know me is to know my words—dark in delivery, passionate in prose. To know me is to know my words raw in form and free from an editor’s cunning touch. To know me is to know my words and the origin of their births. To know me is to know my words free from your conditioned complacencies in music, radio, theatre, or television. To know me is to know my words with the unbiased objective eyes and heart of a newborn. To know me is to know my words—how I love, make love, and kill. To know me is to dive unhesitant into the waters of my pages. To know me is to know my words. Where can readers find you and your book(s) online? Visit the site where “truth reads through fiction” @ www.thewriterofbooks.com. This is a little scary, but still every interesting. I think that he write strong female characters. Nice interview. He is very interesting but too scary for me. It is so cool that he is a chef and happily married. He seems like a very well rounded individual. 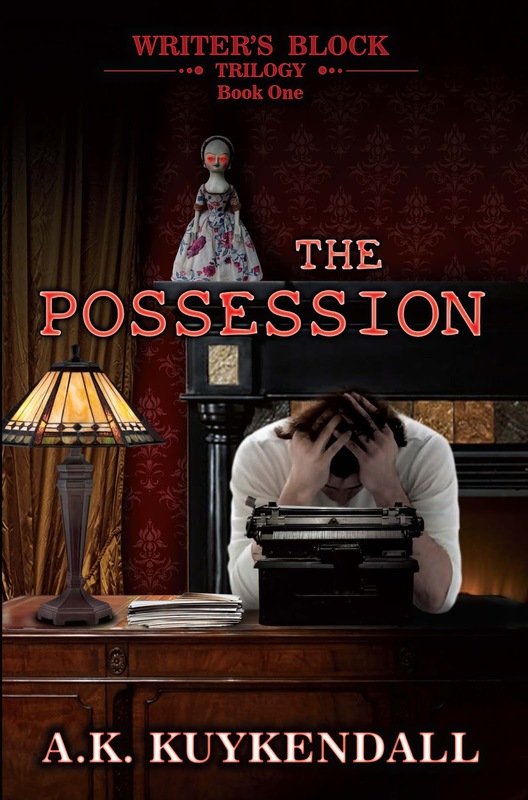 My agent Donald Maass of DMLA out of New York and Mark Aylward (President of Dead Ringer Movies) have just entered into negotiations for film rights to my novel The Possession, book #1 in the Writer’s Block trilogy. It’s still early, but a great development nonetheless. 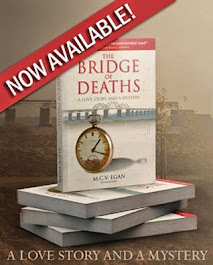 To read the synopsis of the novel being negotiated, visit the site where "truth reads through fiction" @ http://www.thewriterofbooks.com/list-of-works/synopsis-possession/.